Lance de Sardi gives us a magnificent piece of work which is guaranteed to lit up any party around the world. We all knew his previous work on label such as Classic or with his side project called ‘Landshark’ and Lance is now focusing on its new digital label and night in his hometown of San-Fransisco, both named ‘Bang The Box’. 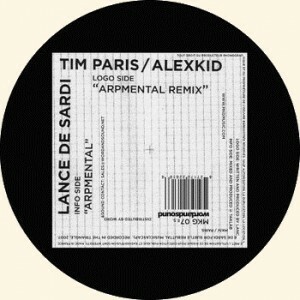 On remix duty Alexkid and Tim Paris teamed up for their first work ever and the result lies in this sharp, tight and inspired techno mix. Alexkid has been recently very active with the creation of his successful label ‘Imprime’ and the release of his Album ‘Caracol’ on F.Communication. This entry was posted on October 11, 2009 at 19:06 and is filed under Release. You can follow any responses to this entry through the RSS 2.0 feed.